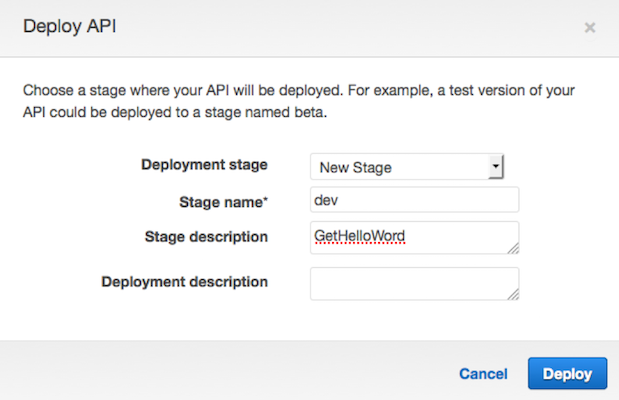 There’s a new feature on Amazon API Gateway called stage variables. Stage variables act like environment variables and can be used to change the behavior of your API Gateway methods for each deployment stage; for example, making it possible to reach a different back end depending on which stage the API is running on. 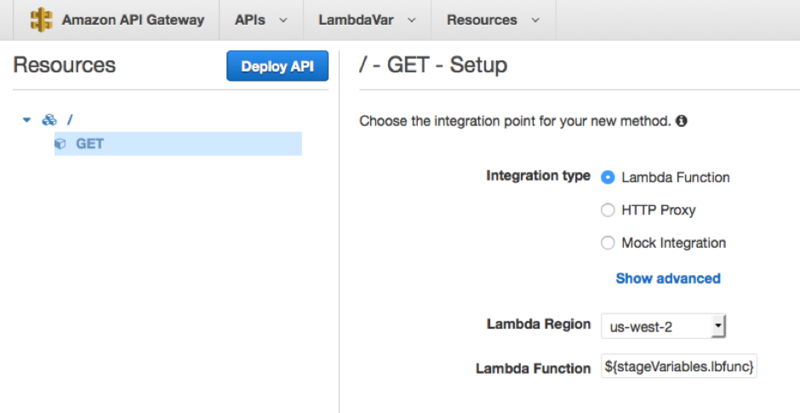 This blog post will demonstrate how to use stage variables with two different AWS Lambda functions. Next, you manually give permissions to your Lambda functions, using the AWS CLI. This enables API Gateway to execute the functions. The CLI command must be issued with credentials that have permission to call the “add-permission” action of the Lambda APIs. The output from the AWS CLI will contain the policy statement that was set on the Lambda function resource policies. Back in the console, you can now create your first stage. Choose Deploy API. In Stage name, type dev. In Stage description, type a description for your new stage, and then choose Deploy. 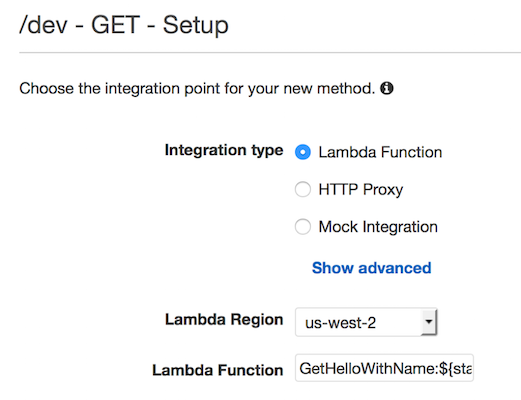 There it is: a nice way to optimize your Amazon API Gateway resources by using a single method with 2 different stages that use 2 different Lambda functions. As you can see, the new stage variables feature enables you to dynamically access different back ends, using fewer configuration steps and resources/methods in your API Gateway. The variables add even more flexibility to stages when deploying your API, which can enable different use cases in your environments.